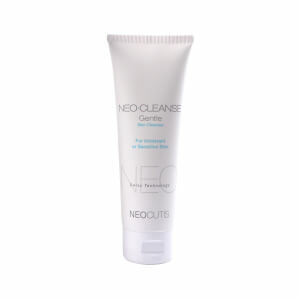 Cleanse and clarify with NeoCutis NeoCleanse - Exfoliating Skin Cleanser. Deeply refreshing and invigorating, this powerful facial cleanser uses ingredients such as glycolic acid to resurface and renew and glycerin to soften and smooth for a brighter, healthier face. Ideal for those of all skin types, especially oily and combination oily, who want healthy, clear and bright skin. Use once or twice daily. Massage a small amount over entire face and neck in small circular motions. Rinse thoroughly with warm water. Pat dry. Glycolic Acid resurfaces and renews dull and lackluster skin. I bought 4 different glycolic acid face wash products to try since they have discontinued MD Forte. This is a gel formula which seems to clog my pores. Hard to believe, a glycolic product would cause acne,but tried it twice with the same result after using for 4-5 days. The other gel based product -glycolix 10% had the same result. I am amazed that my super sensitive, rosacea-prone skin can tolerate this cleanser. It doesn't contain any fragrance, so that's likely part of the reason it works for me. Also, at the advice of the aesthetician at my dermatologist's office, I kind of "snuck up" on my skin with it over the course of a month. The first week, I used it just once. The second week, I tried two days, then three days, then five days. I'm now up to using it every morning, and I have absolutely no signs of irritation at all. My hormonal acne is clearing, and I'm left with soft, smooth, clear, tightened skin. 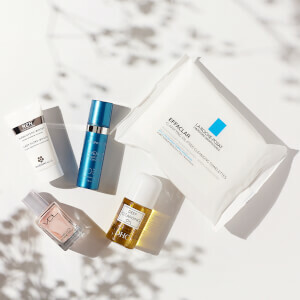 As I began to near 40, my typically clear skin started to break out terribly, and this product really seems to keep the congestion and breakouts at bay. I love it! I wanted to love this so much... excellent cleanser for sensitive skin, you can feel the glycolic working, wonderful texture, but the glycolic acid irritated my eye area too much. I never apply too close to my eyes, and rinse thoroughly, but my eyes just became sensitive. For those with eyes that can tolerate this, you will love it! Luv it. Leaves No film like so many other brands do. I love the fact that this exfoliator cleanser does not dry out the skin. Used with Renova cream it keeps my complexion clear. My daughter is 14 and has break outs periodically. This was recommended by her dermatologist, and really has helped clear up her skin. It's nice because unlike some acne washes, it isn't too strong. I LOVE the way this cleanser makes my skin feel! If you havent tried any of the cleansers from Neocutis... you should. I have normal skin with an occasional break out. my dermatologist recommended this exfoliating cleanser that doesnt dry out your skin. It's creamy, but supposedly he (my doctor) said better for your skin that anything that is soapy or foamy. I tried it and now i'm hooked!